There is no secret to Eegee's success. "The Eegee's is the main driver," said Eegee's CEO Ron Petty. "It's unique and nobody else has it." Petty is referring to the Eegee's frozen treat. In 1971, two University of Arizona graduates, Ed Irving and Bob Greenberg, got the idea to bring Italian ices to the desert of Tucson. So how did they get the name? They took the "E" from Ed and "G" from Greenberg to form Eegee's. They first sold frozen lemonade out of a truck, then a small storefront. "When they decided to do brick and mortar they started adding the grinder," explained Petty. "The menu's just continued to grow. So we've become an institution in Tucson." 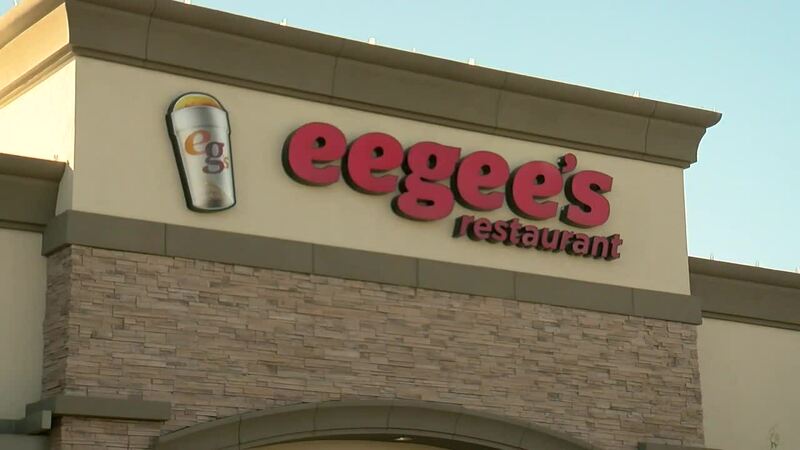 This institution has grown to 24 Eegee's locations, including one in Casa Grande. In 1977 Eegee's added French fries to the menu. To this day it routinely earns best French fries in Tucson. "That ties into not only the fries but the ranch dressing," Petty pointed out. "We sell hardly any catchup. Everybody dips the fry in the ranch dressing." But it is the Eegee's itself for which Tucson seems to have a real love affair. There are the traditional flavors of strawberry, lemon and pina colada. But it's the flavor of the month that drives a whole lot of repeat business. The development of those new flavors is a real science. "The head of the commissary is the guy who drives the process," explained Petty. "He puts together different flavors and flavor profiles that we taste. We test it and put it out in the stores to test it and get customer feedback." Head of marketing Robert Santiago then gets creative with naming the new flavors. "We go through over a million gallons of Eegee's a year," said Petty. That's about one gallon for every man, woman, and child in Pima County. With future expansion, Petty hopes that number will grow to two million gallons of Eegee's sold per year. That expansion could happen over the next few years after the announcement in October of new owners . "Nothing has changed," said Petty. "The only thing that has changed is the new ownership is committed to reinvesting the Tucson market. Reinvesting in the growth of Eegee's and continuing to maintain the same relationship with the customer. Nothing changes, not the ranch dressing, not the Eegee's, everything stays the same." More proof that Eegee's is a Tucson icon and is Absolutely Arizona.